For years, every time we adopted out a horse, I pictured a “happily ever after” story where the horse lived out his life with his adopter, being a beloved pet and companion, being part of the family. I keep my horses for life, and I wanted everyone else to do the same. So each time an adopter returned a horse, I was sad, frustrated, and even a little angry. She might seem extreme, but I’ve heard other rescues rant about adopters returning their horses. Commenters on our Facebook page have said those who return their adopted horse should never have another horse again. I’ve spent a lot of time reviewing our adoption policies and procedures as well as reviewing individual adopter’s stories to see if we could cut down on returns. I worried that maybe we were doing something wrong, something that caused adoptions to fail. Now, I still really want every adopted horse to have his “happily ever after” story. I want them and their adopters to have many adventures together, and I want them to grow old on their adopters’ farms. But I’ve stopped fearing the adoption return. Adoption returns aren’t a failure of our program: they’re a success. The reality is that not everyone keeps their horses for life. Horses are big animals who take a lot of space to house. They’re expensive to keep. Sometimes people change direction in their horse journey or outgrow their horse; sometimes they lose interest. Sometimes horses outlive their adopters. Divorce, job loss, critical or terminal illness, all force people to rehome their horses. Part of adoption, rather than an outright sale, is that we provide a safety net for these horses for their lives. We’ve had adopters return their horse within weeks because he wasn’t what they expected and he was too much horse for them. Last year, we had two adopters return horses they had adopted ten years ago. One had multiple strokes and could no longer physically care for his horse, and the other lost his job and had spent all of his savings caring for his horses. He had nothing left to spend and no job in sight. Both of these adopters were good people who found themselves in a tough situation. If we had sold our horses without a safety net, those horses might end up neglected in a field or sold into the slaughter pipeline. Instead, those horses came back to us where we could re-evaluate them and find them new homes. That’s how we protect our horses for life. While I’m sad for the horses who don’t get to stay with their people, and I’m sad when adopters have to give up much-beloved horses because of health or finances, I don’t fear adoption returns. I’m grateful the horses come back to us. I’m grateful we can keep them safe. And I’m also grateful that my own adopted horses have the rescue to care for them should something happen to me. My husband isn’t a horse person and my daughter is only four, so I’m glad my horses could go back to the rescue where they’ would be cared for, loved, and find someone new to love them. 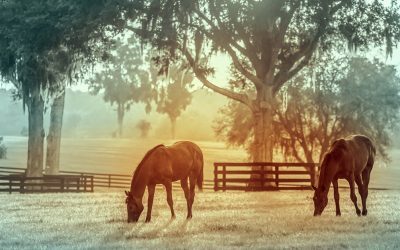 My horses will be safe – and that’s a good reason for me to adopt horses in the future rather than buy. So instead of fearing adoption returns or getting angry about them, we need to start promoting them as a benefit of adoption. 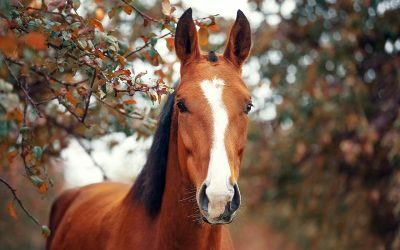 Considering letting adopters have a trial period where they can return their horse without penalty, because sometimes horses get to their adopter’s property and behave differently. They may not get along with the adopter’s other horses, or the adopter may have a good ride at the rescue but just not click once they get the horse home. I would rather these adopters return their horses and find a horse that works for them, hopefully even from our organization. (We refund the adoption fee if the horse is returned within the first 30 days – it is a trial period built into our adoption contract). Let adopters know that their horse always has a place to come back to: whether it is because he just wasn’t the right horse for them or whether they’re unable to keep him because of financial or health reasons or even if they just no longer want horses. That’s something an outright purchase rarely offers. There’s peace of mind for adopters in knowing that no matter what happens to them, their beloved adopted horse will always be safe. I know that it can be frustrating to have to fit a returned horse in when you would rather be out bringing in more needy horses, but it is much better than finding out that an adopter gave away or sold his adopted horse and that the horse has either landed in a bad home or has disappeared into the slaughter pipeline. When that happens, the horse is the one who suffers. Reshaping how we view adoption returns let us celebrate keeping our horses safe.